A Philadelphia-bound SEPTA Regional Rail train stops at the East Falls Station in October 2017. Starting on Saturday, April 20, monthly TrailPasses for Zones 1 and 2 will be available for purchase and use beginning May 1. Weekly passes will be available for purchase on May 1 for the week beginning May 6. Travel Wallet, or the option to preload money for individual trips, still is unavailable for the Regional Rail lines. But riders will have the ability to set up re-occurring payments for monthly and weekly passes. 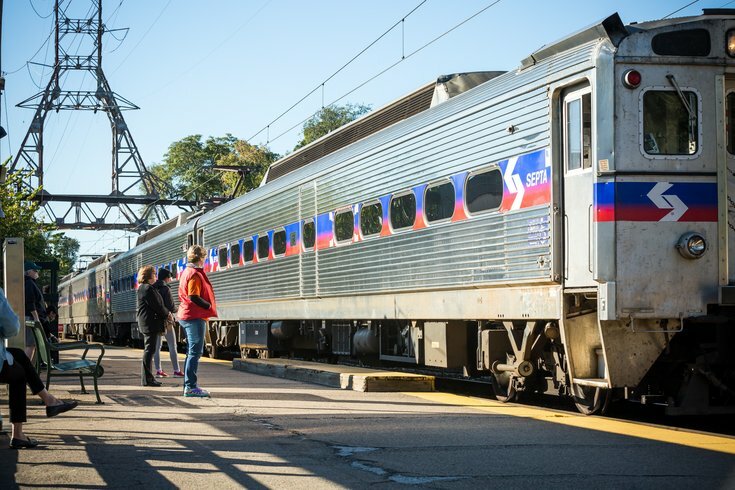 The rollout of the availability to use the SEPTA Key on the system's Regional Rail trains began with Zone 4 last August. The transit system expanded the card's coverage to Zone 3 in November. The SEPTA Key has slowly taken over SEPTA's other fare options since it was launched in June 2016 with as an early adopter program. The transit system has since taken most of its historic fare options off the table, including tokens and paper transfers. SEPTA Key cards cost $4.95 (plus cost of fare), but the purchase fee will automatically be applied to the Card Travel Wallet if your card is registered within 30 days of the purchase date. (Only valid for cards purchased on or after May 4, 2018.) The $4.95 can be used to pay for an individual ride or toward the future purchase of a weekly, monthly, or one-day convenience pass. This reimbursement will be limited to two cards per customer account. SEPTA recommends registering your Key Card to ensure your fair is protected in the event you lose your card or if it gets stolen. The card may be registered on the SEPTA Key website or by calling Customer Service line at (855) 567-3782.